Every android smartphone comes with the default theme and some default wallpapers. In an android phone you can easily change the wallpapers, but to change the themes sometime you have to root your device and install custom roms. Most of the android users don’t want to root the device and want to install some new custom themes on the device. Now you can install thousand of custom themes on your smartphone without rooting your device. The process is very simple and takes only 10 to 15 minutes to install the themes. 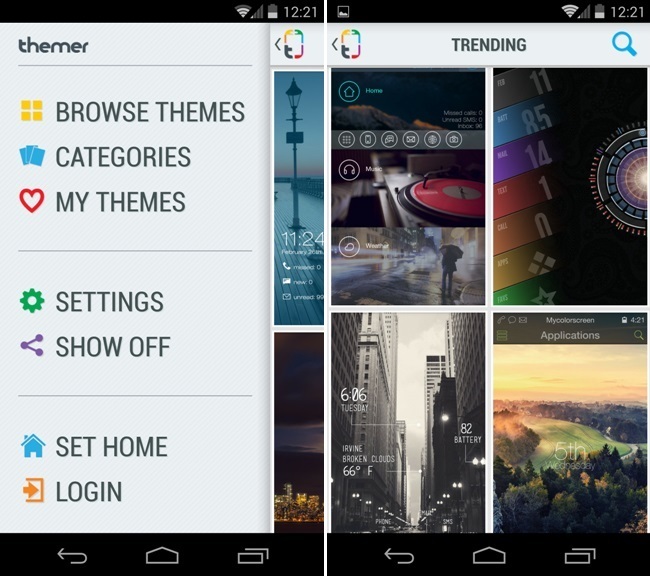 All you need a free android application called Themer, by MyColorScreen. Today, in this we’ll show you how you can use custom theme on your smartphone and change them frequently on your android. With the help of the themer application you easily customize you phone looks and enjoy thousand of themes on your device. So lets take a look how the application works on your android smartphone. 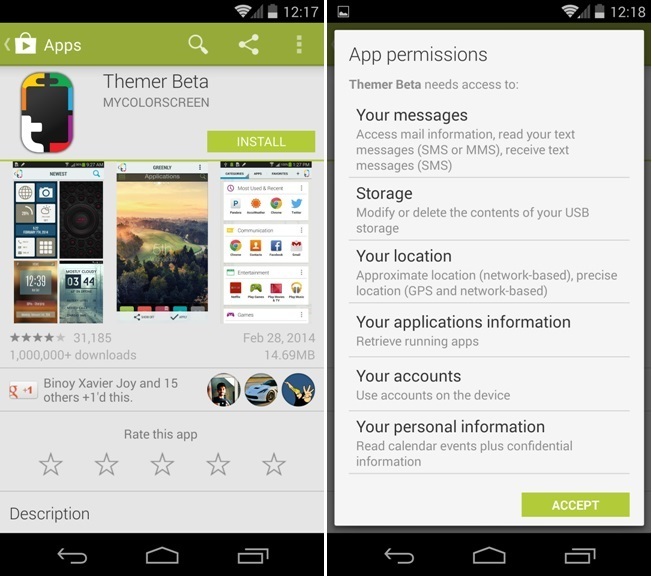 First visit the Google play store app on your device and search for the Themer app and install it. You can find the direct download link of the application at the end of this post. Once the application is installed on your device, run the application and you’ll be greeted with a few welcome screens that’ll provide you with some general info. On the nest page you can see some of the best custom theme in different categories. In each categories you will see some of the best themes with wallpapers. When you find a theme you like, just select it to download and apply. Once the theme is applied on your device you can see the new theme on your home screen with new icons and lock screen. Not only this you can also change the Theme Options from the settings option of the themer app. Select Themer Settings -> App Preferences -> (Shortcut You’re Trying to Change). From here you can you can change the shortcut to any app you’d like. that is not real theaming … just some backgrounds and coloured tabs..
substratum is working on total theaming for non root android , mid 2017 .. Installed but the themes are not loading. … wtf?? ?